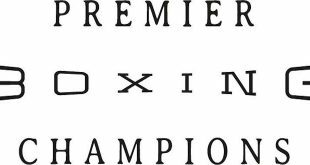 Two highly regarded fighters will take part in the two co-featured bouts this Friday night at The Legendary Blue Horizon that will headline a seven bout card promoted by Sam Promotions in association with Blue Horizon Boxing LLC. 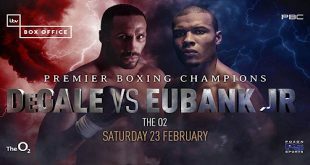 Farah Ennis (13-0, 7 KO’s) will take on forty-eight fight veteran Steve Walker in one six round co-feature of Super Middleweights while undefeated featherweight, Coy “Pretty Boy” Evans (8-0-1, 2 KO’s) will do battle with thirty-two fight vet Barbaro Zepeda in the second co-feature. 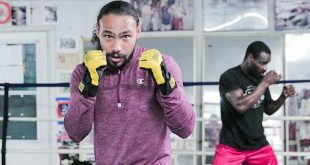 Ennis of Philadelphia has been making a steady climb up the ranks and has prepared for this fight under the watchful eye of his father and renowned trainer, Derrick “Bozy” Ennis. Like Ennis, Evans (8-0-1, 2 KO’s) is trained by “Bozy” Ennis and has looked explosive recently as he has racked up highlight-reel knockouts in two of his last three bouts. Both Evans and Ennis are managed by Moz Gonzalez and Eddie Woods. 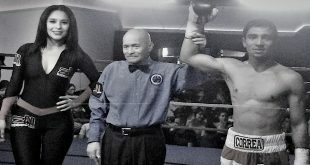 Van Oscar Penovaroff (5-0, 4 KO’s) vs. Kywame Hill (1-3-1, 1 KO) in a six round Lightweight bout.